Intended use: All runs except for T&F, trail. 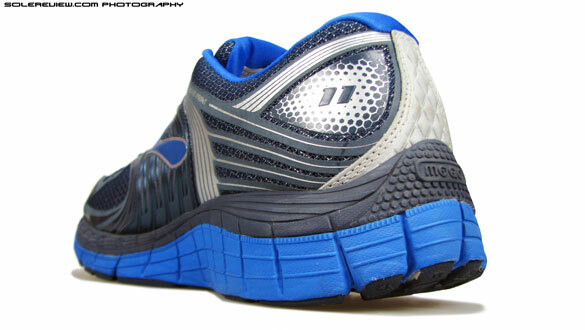 Midsole: Dual layer compression molded EVA, heel to toe DNA gel cushioning unit. 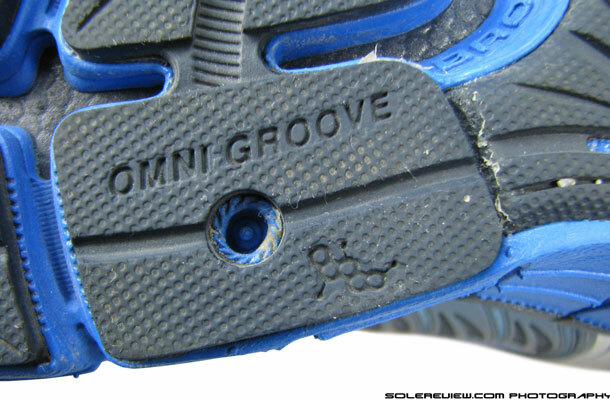 Outsole: Carbon rubber (heel), blown rubber (forefoot). The Glycerin 11 doesn't feel as plush as Glycerin 10 - it drops layers of synthetic mesh and spongy foam in favor of 3D printed overlays. On the plus side, the shoe is lighter and transitions better. Our verdict? A mixed bag which is still competent but we'll prefer the Glycerin 10 or wait for Glycerin 12. Glycerin 10 was truly a turning point for the popular franchise. It marked the end of an era where the richness of materials, pillowy snugness and a cushioned ride came perfectly together in a 13 Oz package. It also put into motion a new direction for the Glycerin – a path which leads to embracing minimalism in footwear manufacturing. Is it a good thing or bad? We don’t know yet, but surely a big shift from where things stand. 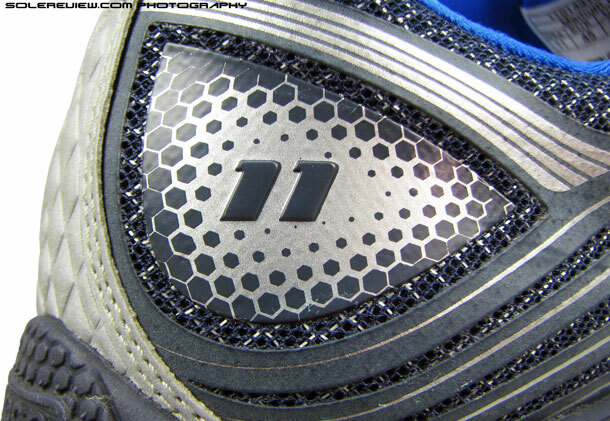 The 2013 Glycerin 11 is the essence of that shift. The shoe has changed for good, setting the tone for the next generation of Glycerins. The rather surprising part is the rate at how things are changing in the Brooks product line. After a few years of ‘if it ain’t broke, don’t fix it’ approach towards its signature models, the brand’s eagerness to speed up evolution is uncharacteristic, yet understandable. This transformation in behavior, we’re sure, is buoyed by the brand’s phenomenal success in the performance running footwear market. Sample this – according to this article in Forbes, Brooks sales were up 34% in 2012, a year when overall US running sales were flat. That sales performance was followed by a 17% increase in 2013 revenues, bolstered by 27% growth in Europe. That is a stupendous achievement whichever way you look at it, and CEO Jim Weber’s focus and perseverance seems to have paid off. Worth mentioning is Brooks’ product strategy which backs the concept of premium price value and eschewing the creation of lower rung models. By not succumbing to the lure of selling entry level shoes below $80, the brand is able to maintain a minimum threshold of quality and feature set. Complimenting that is a running-only category focus and a tightly knit assortment within that framework. Part of the reason why most of their products are best sellers – be it the Ravenna, Glycerin or Ghost, which grew by 72% , 53% and 52% respectively in 2013. The brand also capitalized on the minimalist trend with their ‘Pure’ project, with shoes like the Pureflow and Pureconnect ending up commercial home runs. The resounding success sure validates their lighthearted ‘Run Happy’ philosophy. 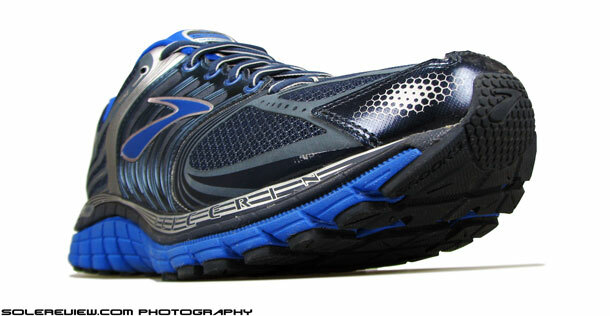 And if you’ve been reading our reviews of late, we at solereview are also happy running in Brooks footwear. 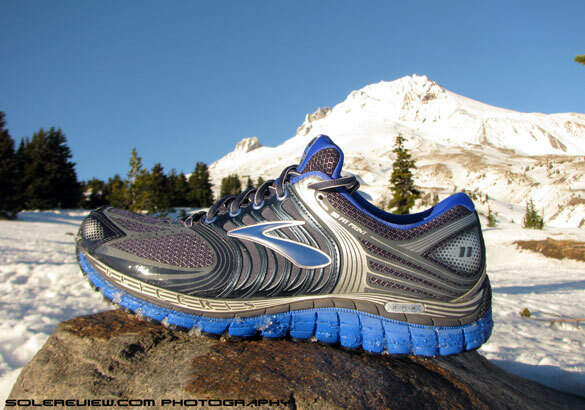 But all the good news does not cloud our impression of the Brooks Glycerin 11. While delivering a wear tested judgement on the Glycerin 10 was relatively easy, we struggled with Glycerin 11. Because the latter is really a mixed bag of sorts; feels vaguely familiar yet distanced from what it used to be once. The trickle of familiarity comes from its adaptive cushioning, an outcome of DNA gel pads seated in the heel and forefoot. What’s alien is the change in how the overall ride feels, and the surprising un-plushness of the upper. 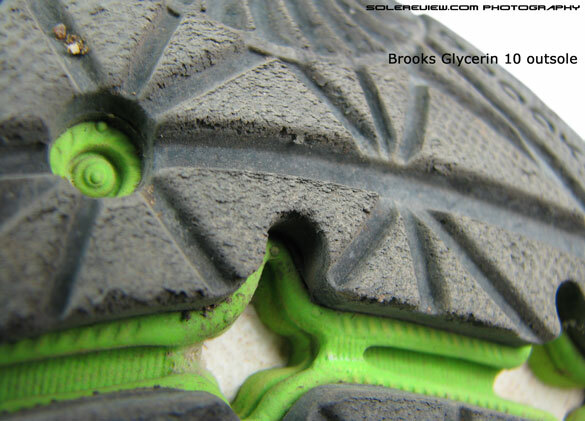 A little unbecoming of a shoe which is meant to represent Brook’s statement level of neutral running construct. But at least we think we know the intent of the change, and we’ll spend some time on it later in the review. We slid into the Glycerin 11 for first of our test runs, and the difference was telling between the two versions. 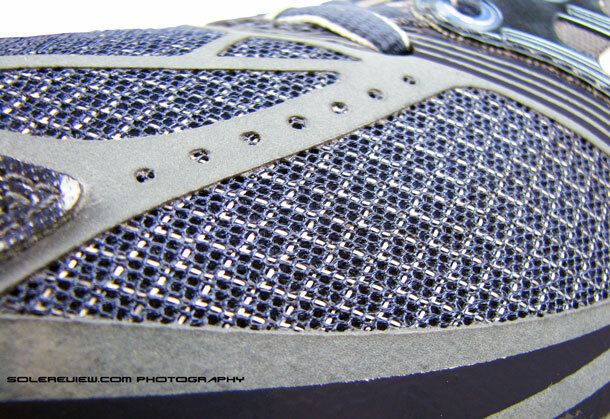 The Glycerin 10 upper had this luxurious spacer mesh which pressed down on the sides with opulent softness. Squeeze it between your thumb and the index finger, and you could feel a few millimetres of bounce between the two layers. When worn, the upper mesh felt snug all around, and the sensory experience was heightened by gentle suppleness of the under-tongue and collar lining. The sole unit felt cushioned, yet striking the right balance between padding and support. The Glycerin 11 swaps out the multi-layered spongy mesh with a material which is way flatter with barely any give. 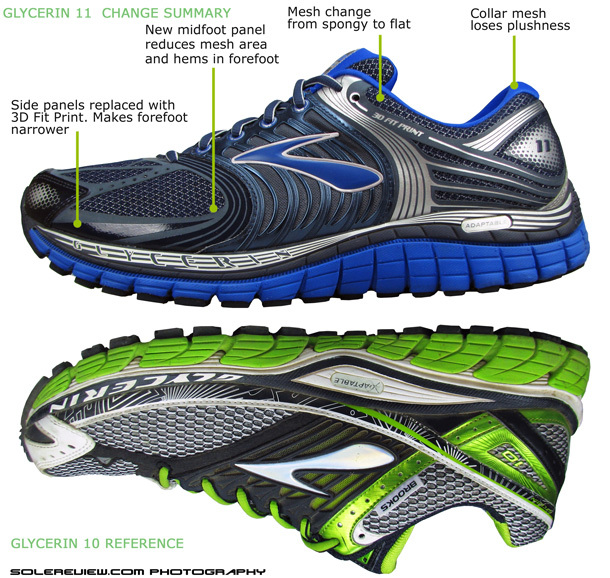 This change was deliberate, because Brooks wanted to use 3D printing on the Glycerin 11 upper – with the goal of better fit and seam elimination. So instead of synthetic leather panels spread over the Glycerin 10, the new avatar has multiple layers of print-bonded polymer on its surface. Switch of construction technique had a good intention, but we are not pleased with the end result. Why? For starters, seams on the Glycerin 10 were never irritating to begin with. In fact, they were barely noticeable, obscured in spongy wholesome-ness of the previous generation spacer mesh. 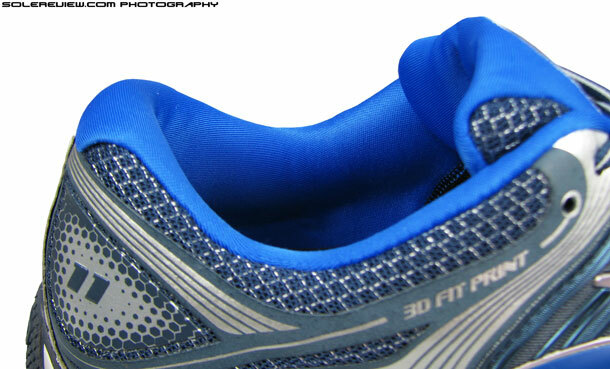 The Brooks website says that the Glycerin 11’s 3D fit print overlays “creates structure and reduces weight”. While that holds true, it also strips away the plushness of what Glycerin once used to have, and two other things also happen simultaneously. One, the shoe feels looser overall as the relatively flatter mesh is deprived of the bounce which contributed to feeling of snugness. Two, in what might sound like a contradiction to what we’ve just said, the forefoot feels tighter. 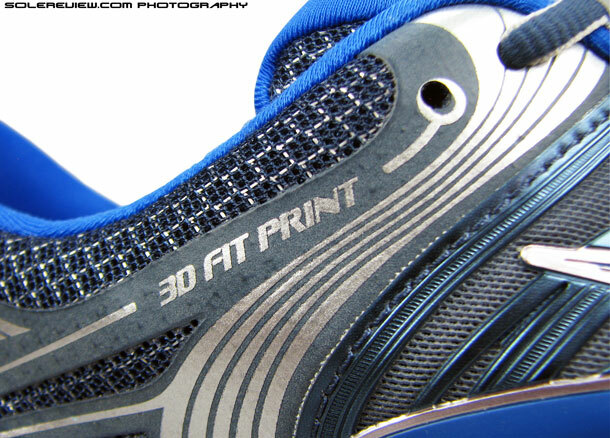 The 3D fit print on the sides is raised higher than Glycerin 10’s stitched-on panels, and the mid-foot panel design reduces the open mesh area of the forefoot. 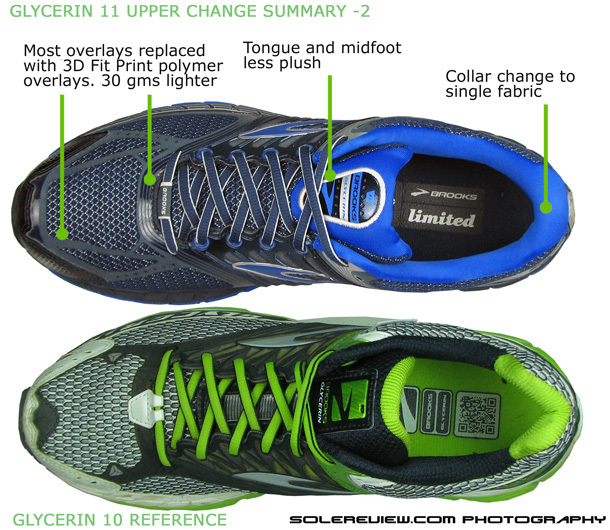 So the forefoot is hemmed in on the sides by these changes, with the base feeling tighter than the outgoing Glycerin 10. We aren’t docking any points for forefoot fit because a lot of runners might not necessarily see that as a negative. We were testing the medium width (D) Glycerin, so if you liked the roomier forefoot of the 2012 model, we’d suggest a sideway upsize to 2E. The dual fabric set-up of the Glycerin 10 collar is replaced by a single fabric lining, diminishing the previous felt richness. On the bright side, it feels smoother helped by the elimination of a seam, but comes across as less luxurious. Performance is unaffected though; the well padded and proportioned collar grips the foot eagerly without allowing any slip. The Ghost and Glycerin have intertwined fates, so any design re-direction cuts across both the models in a single stroke. Like the Ghost 6, Glycerin 11 drops the plastic shank and chunks up the underfoot gap with midsole foam and rubber. The midsole, like its predecessor, has two layers – a firmer density foam overlaid with a softer one. The under-arch area has more of the stiffer foam, so Glycerin 11 is more enthusiastic when arresting the inward foot roll. Quite the opposite of what the Ghost 6 does with its softer foam insert on the inner midsole area. 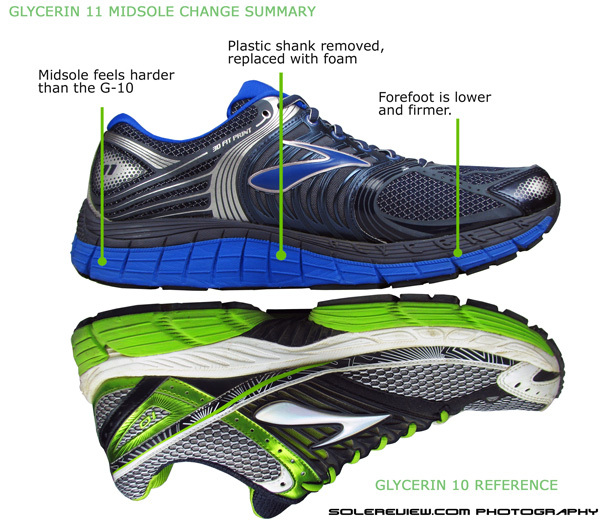 Extending the midsole downwards results in more ground contact, and foot strike transition is noticeably improved compared to the Glycerin 10. The changes on the Glycerin 11 add up to a cushioning feel which is firmer than the 10. The increased usage of firmer midsole foam beneath the arch lends the Glycerin a sensation of stiffness, and forefoot cushioning feels muted. We’re not sure of the forefoot height on the 11, but we are certain that the forefoot sits a few millimetres lower than the Glycerin 10. At first we thought we were imagining it, but multiple test runs only bolstered our perception of lower forefoot height. Lower forefoot translates into less material underneath, which in turn reduces the squishy feel. But overall the cushioning behaviour is consistent, albeit firmer, as the nature has been of the DNA gel unit (full length in Glycerin’s case). The impact pressure dependent DNA cushioning works at various levels. At lower speeds, runners can exploit the Glycerin’s easy going, malleable cushioning. An upwards change in running speed rewards the wearer with a ride which feels firmly damped yet progressive in weight transfer. Outsole durability has always been the Glycerin’s tender spot, and version 11 is no exception. 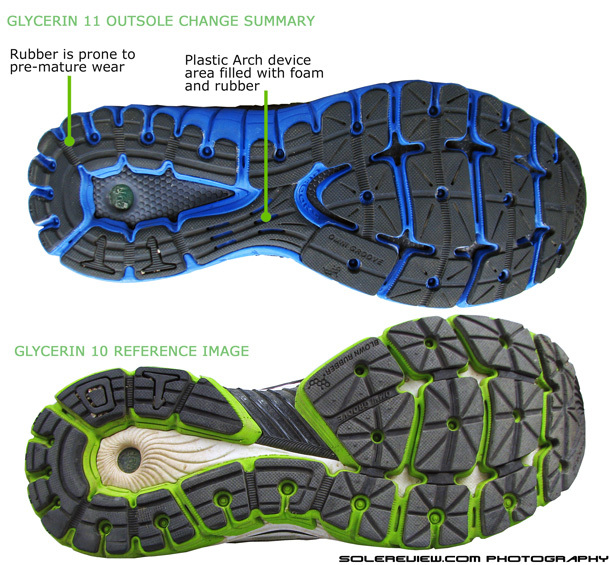 Rubber wear shows up quickly, starting on the outer rear foot area and under the forefoot. It has been an issue in the past for the Glycerin and Ghost, and will remain so for both the existing models. Heavier runners, please note. Sub par durability is somewhat compensated by the excellent outsole grip. The hard heel rubber and the softer forefoot compound sticks well, and there should be no complaints unless the running surface is very slick. Traction on Asphalt, track or treadmill? Check. Much of what the Glycerin upper used to be has been tinkered with, and the result is a shoe which feels like a toned-down repackaging of its earlier self. When it comes to innovation in footwear construction, the Glycerin 11 is an advancement, yes. Brooks’ skyward trajectory in the recent years has increased their appetite for risk and introducing product innovation. That is a coveted character trait for a footwear brand, necessary for staying ahead in the game. At the same time, that is a high-risk-high-reward strategy, and not all of its decisions will be universally loved. In Glycerin 11’s case, the changes rob the shoe of its personality, taking a shoe which felt plush at every level into a somewhat edited personification. But we get the sense that this new phase of evolution is still midway, with good reason. Next month (June 2014), the Glycerin 12 unseats the DNA gel units and pops in the foam based, super DNA which should be lighter and match up with the 3D wizardry on the upper. So we’ll wait, for evolution is a long drawn process. The Glycerin 11 makes the grade on most front, only that it is slightly disappointing when you’re trying to move up from the Glycerin 10. At best, we’d describe the shoe as bridge between what is familiar and what is yet to come. Will do for now, but June 2014 should paint a clearer picture. In what way is the Wild Trail bad? Clunky? No ground feel? If you’re running track and XC, we suggest you look at something lighter. Like a shoe out of the Brooks Pure series. The Brooks PureGrit 3, for example. Thanks. I am based in South Africa and was about to change from Brooks Glycerin 11 to 12 but I have read the review on Glycerin 12 and I have decided to stick with 11 if I can find it. In the event that I cannot find Glycerin 11 what would be a good alternative? I pronate but because i use orthotics my doctor recommended that I stick with a neutral shoe. You could try the Nimbus 16. Not same as the G-11, but the next best thing. Really struggling with the 11s, which feel *much* firmer than the 10s. My forefeet are taking a bit of a battering. I’m also trying to figure out if they’re causing the shooting pain I’m having down the outside of one leg, which has come on at roughly the same point I switched to these. If anywhere was still stocking the 10s I’d buy them all in a heartbeat. Yes, the G-11’s are firmer than the 10, and that’s why we’re hanging on to our pair. But hard to say what’s causing the foot pain. Ride 7 don’t feel as plush as the G-10, but a great shoe nonetheless. What do you mean about the sizing? Aren’t half sizes available at your location? Regardless of the difference, both shoes have the same length. What you should really look at is the JPN (cm) sizing, which for UK 10.5 is 29.5 cm for both Brooks and Saucony. If there is any variation, it will come on account of upper design, which is true for models even within the same brand. US,UK and EUR sizing can be confusing because different brands adopt different conversions. The only true measurement of foot size is CM/JPN sizing – that number represents the actual heel to toe length measurement. Great review. I just switched to the 11s, am so disappointed. Pain on inside of shins since switch, no other changes. As soon as I slid them on, I said to my wife, these feel awfully different. I actually looked at the box to see if they sent me the wrong sneaker. I always buy 2 pair of the model when the newer one comes out, so I have 2 brand new 11s 🙁 Not sure what to do, I have been running in Glycerins for since the 5s. Guess it is time to get to the store and try a bunch of new models on. Anyone have any advice as to what to try? Well, if they’re brand new, you always have the ebay to turn to. Remember that the G-11 was the last featuring the DNA gel, so there will be takers. The Glycerin 10 was a unique shoe, but you could experiment with models such as the Gel Nimbus 16. (Not the 17). One of our other readers (comment below) made the switch to Saucony Ride 7, and seems happy. Just logged 250km on these shoes and am really happy with them. Just comparing them to the Asics Nimbus. Pros – lighter, better looking, plush tongue. Negs – take quite a good half dozen wears to wear them in and feel comfy. They start out really hard and take a while to get softer. The fit right out the box isn’t quite as good as the Nimubs – the nimbus you can throw on your feet straight away and have a good comfortable ride. The Glycerin takes a while to get used to. You have lock your heel back as far as possible and need to get used to the laces. Laces too loose and the shoe rubs and slops, laces too tight well these are just not forgiving for laces being too tight. Getting the laces right took some getting used to. I have worn these on some tough rugged mountain climbs and they hold up really well for both comfort, cushioning and grip. I do sometimes get pain in the midfoot at about 7-8km – not all the time but sometimes.